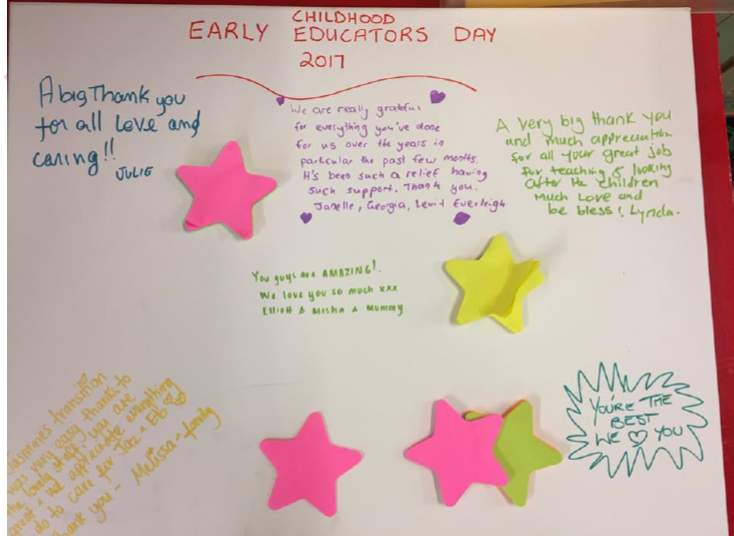 For Early Childhood Educators Day in 2017 we treated our educators stomach, bodies and minds. 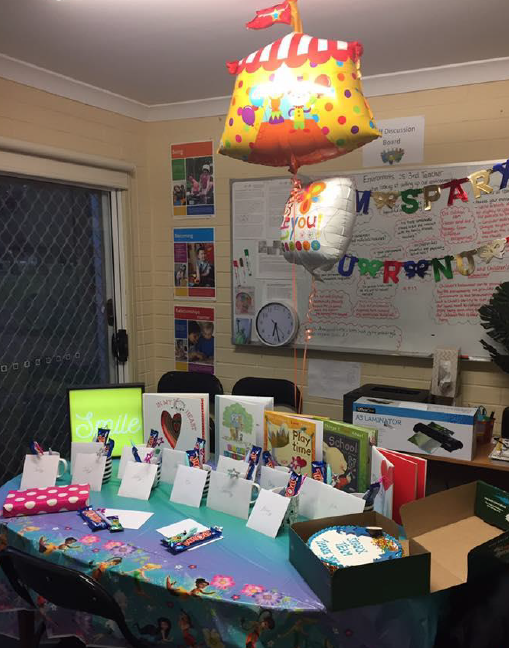 This is our staff room set up with decorations and gifts for all the educators at Sparx. This is our staff room door. 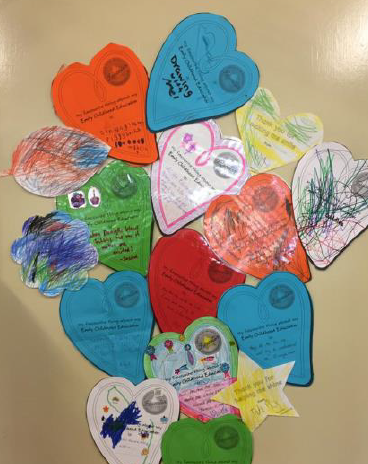 Our educators saw these lovely thank you messages before they started their day. Our team was also treated to a feast for lunch! Over the lunch period we also had Massage On The Run visit us. 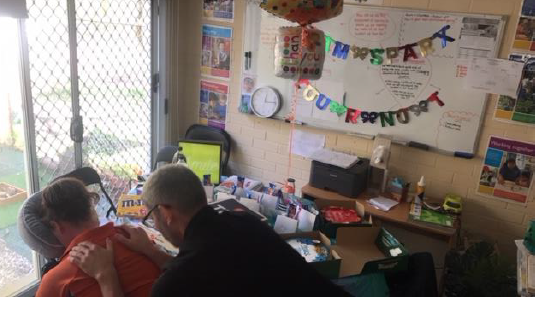 Everyone in the team received a 15-20 massage on their breaks. Prior to the day families of the service were emailed to write thank you messages for our educators. From the messages we received we made a small book for the educators to read. 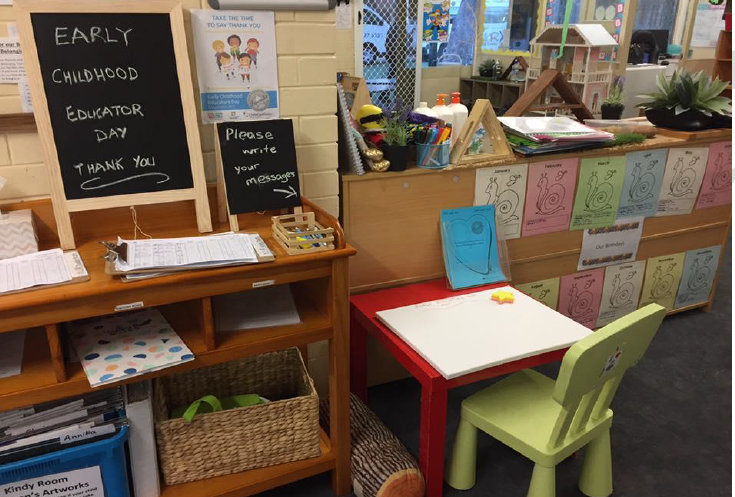 On the day there were areas set up for families to leave thank you messages for the educators. This board remains on display in our Staff Room.